H.R. 2453 would let enrollees switch plans once between January and March. A House Republican wants to give Medicare Advantage buyers a little more enrollment flexibility early in the plan year. Rep. Keith Rothfus, R-Pa., has proposed H.R. 2453, a bill that would let enrollees switch Medicare plans once between January and March. Program managers use a fall open enrollment period system to push consumers to sign up for Medicare Advantage coverage every year and to pay for the coverage year round, rather than simply waiting until they get sick to pay for coverage. In the past, the program offered a plan switching period as well as the open enrollment period. H.R. 2453 would restore a plan switch period that was eliminated by the Patient Protection and Affordable Care Act (PPACA) in 2010, Rothfus said. Rothfus promoted the bill today at a House Energy & Commerce health subcommittee hearing on Medicare. Supporters and opponents of Obama administration Medicare proposals appeared at the hearing to talk about why they think the proposals would improve the program or hurt the enrollees by increasing the cost of Medicare plans and reducing the number available. Lawmakers also considered several Medicare bills. In addition to the Rothfus plan switching period bill, the lawmakers talked about H.R. 4177 and H.R. 4180 — two bills that would make it easier for consumers to contribute money to personal Medicare savings accounts. Lawmakers also discussed H.R. 4196, a bill that would create a Medicare Advantage improvement fund by taking all funding away from the PPACA commercial exchange plan cost-sharing subsidy program. The cost-sharing program is supposed to help low-income consumers buy “qualified health plans” through the new public exchanges, and handle deductibles, co-payments and coinsurance payments. Rep. Jeff Denham, R-Calif., stumped for H.R. 4201, the Seniors’ Rights to Know Act bill. 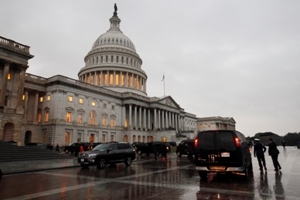 The bill would require a Medicare Advantage plan to tell consumers about the effects of PPACA and a sister bill, the Health Care and Education Reconciliation Act (HCERA), on the plan’s cost and benefits. Denham said in a written version of his testimony that PPACA is about to impose a new health insurance tax and about $300 billion in funding cuts on the Medicare Advantage plans starting this year.